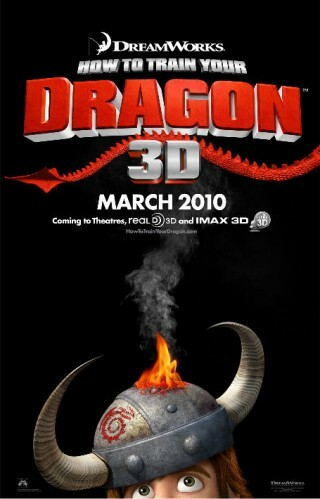 Yesterday I took my kids to see “How to Train Your Dragon” in 3D. For the life of me I cannot figure out why I am just now seeing a 3D movie. It was an amazing experience. I had previously seen one 3D movie. Back in the 80’s I saw Michael Jackson in “Captain Eo” at Disney’s Epcot Center. Needless to say, technology has come a long way since then. After yesterday’s experience, I found myself wondering why anyone would ever go back to watching movies in 2D again? Then, my thoughts wandered to my relationship with Christ. There is a parallel here. For so long, many of us have been living a 2D Christian life. We have focused so hard on being at church whenever its open and we are keeping a close eye on the things we aren’t supposed to be doing. So we are church going and keeping a list of don’t’s. The third dimension that we often forget is the mission. The whole purpose of our existence here is to follow Christ…wherever He leads us, to reach out to whoever He places in our path. Following Christ is the key. As long as we are following after Christ and are focused on that we are on mission. We are living a 3D Christian life. But I often get caught up in the 2D. I can actually let some of these really good things be a distraction from the best. Going to church becomes a distraction when you are there just to be seen there. And not just seen by people, but by God. We think that if God sees us there He will be super impressed with us. I believe God is more impressed when we ARE the church instead of showing up AT the church. Doing the right things becomes about consciously or subconsciously working your way to eternal life, instead of a means of following His example and being a light in the darkness. We are carriers of the mission and Word of Christ when we are following after Him. It is hard for the world not to notice stars shining in a sky like that. Yesterday reminded me of one other thing. It reminded me that Jesus Christ – my Rabbi, my Teacher, my Savior – came himself into a dark, disgusting mess of a world to save me. He could have kept His relationship to this world 2D. He could have just stayed where He was and let things play out as they would, but He did not. He could not. He came here and saved me. He came here to save you. And it is Christ’s 3D living on this earth that gives me a purpose in this life. It is His 3D relationship with His Father that shows me how to live in relationship with Him and how to be a shining star in His universe. I need to withdraw less and follow more. I need that third dimension to my faith. What about you? Are you living 2D or 3D? Very nice, Jason. I can honestly say that for the first time in a long time, I know exactly what you mean. I really like your idea about how God will be impressed if we ARE the church rather than just show up AT church. I can also honestly say that I’m closer to a 3D relationship with Christ than I have ever been. My purpose on this earth, as you said, is to follow Christ and to glorify God in all that I do. I think that living in a 3D life, as you described, glorifies God.